The teachers from grades 3-5th would like some help with snacks for the students SBAC testing. Please see the link below. 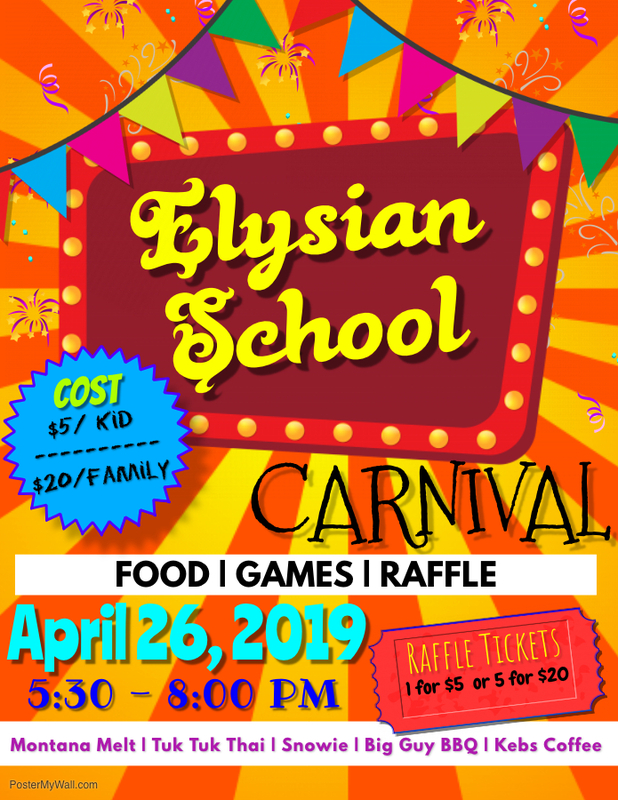 This entry was posted in General Info on April 23, 2019 by elysianschool. How about starting Easter Break with pizza?!?! 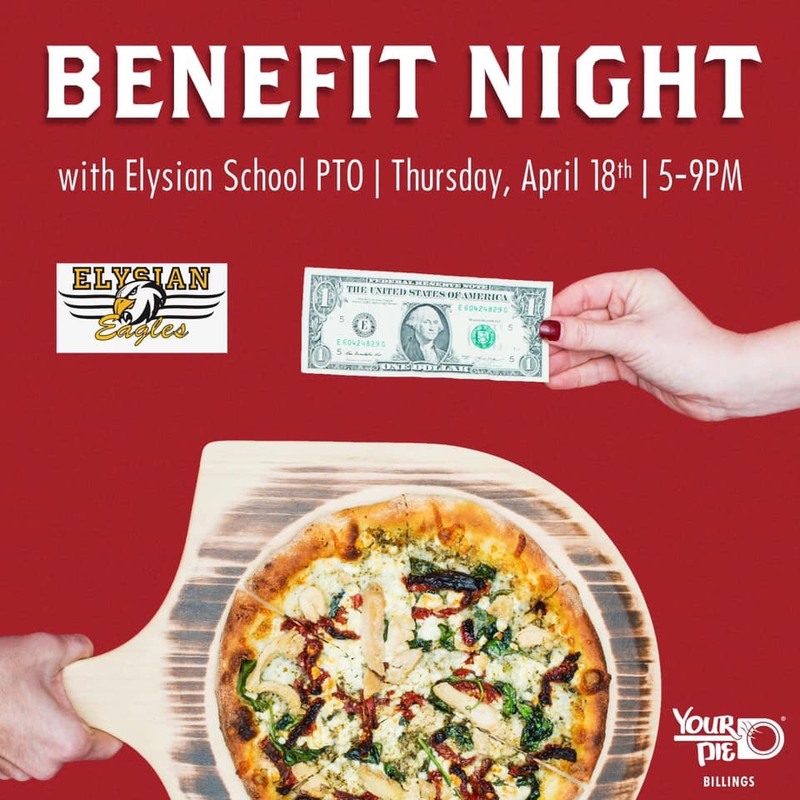 Your Pie is hosting a benefit night for the Elysian PTO. 10% of total sales will be donated to the PTO. This will include dine in, carry out, or Uber Eats. Be sure you mention Elysian PTO. Thursday, April 18th, 5-9 p.m.
Flyers will be sent home. This entry was posted in General Info on April 16, 2019 by elysianschool. From April 12th through May 10th we will be holding a reading challenge that is individual based, but also competes with Trinity and Canyon Creek schools. Each week students will have a race car coloring sheet to fill out that corresponds to their reading (each section to color equals 15 minutes of reading). Once the whole form is colored a parent will sign off on it and it will be turned in to the teacher. There is a new sheet each week along with prizes each week! During this time, our school will be competing with Trinity and Canyon schools. There will be a racing board placed in each school to be displayed so students can see who is in the lead each week! The grand prize for students to win is a ticket to get into the races for free on Saturday, May 25th. Not only will the students get to watch the races, but there will also be the ultimate principal showdown! The three principals from the three schools will actually get down on the strip and race cars for the finale winner. This is where the school that wins the reading challenge comes in handy as that school will have a guaranteed spot in the final 2 cars that race! We wish good luck and good reading to all our students! Ask your student for the information sent home April 12th. 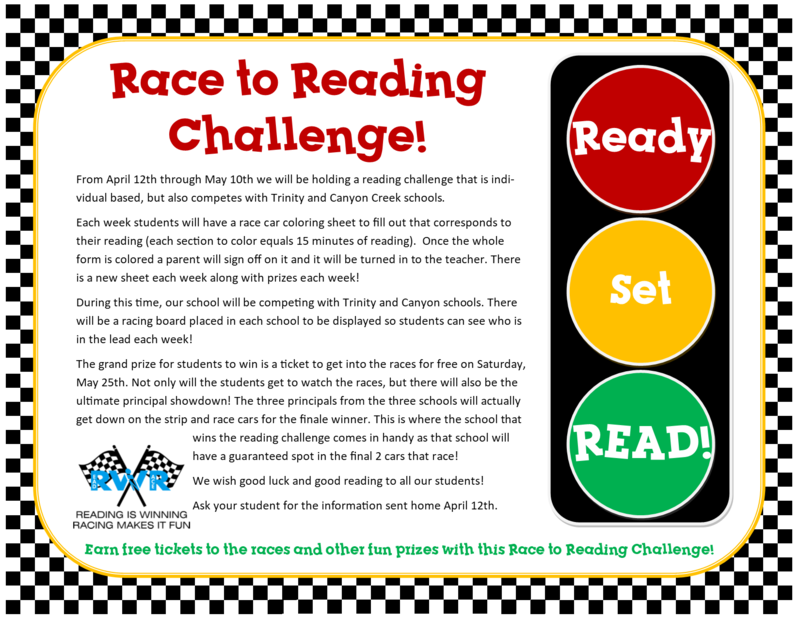 Earn free tickets to the races and other fun prizes with this Race to Reading Challenge! This entry was posted in General Info on April 12, 2019 by elysianschool. The SBAC (state tests) for grades 6-8th are coming up on May 13-17th. If you are planning on your child being absent those days, please notify us ASAP to make arrangements to test before May 13th. This entry was posted in General Info on April 8, 2019 by elysianschool. The April menu is ready. Paper copies will go home with K-5 as usual. 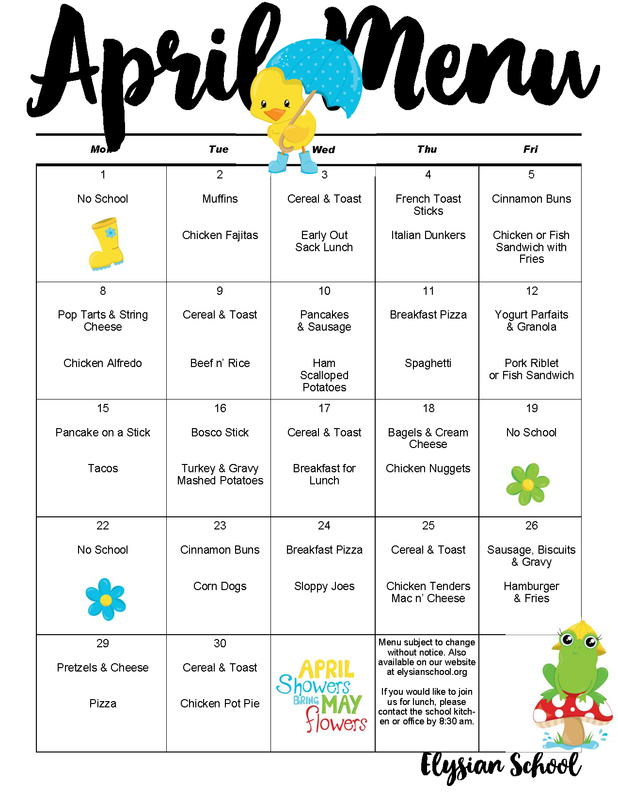 You can save the png or pdf format here for future reference or view on our master calendar at www.elysianschool.org. This entry was posted in General Info on April 4, 2019 by elysianschool. Thank you all who attended our Student-led Conferences last week. We saw a great turnout and enjoyed seeing all those that attended. We are very proud of the accomplishments and growth we are seeing from all our students! The fourth quarter becomes a very busy time with end of the year testing, field trips and the last push by teachers to get in those final pieces of instruction. Below is a list of some of the events for April. This entry was posted in General Info on April 2, 2019 by elysianschool.